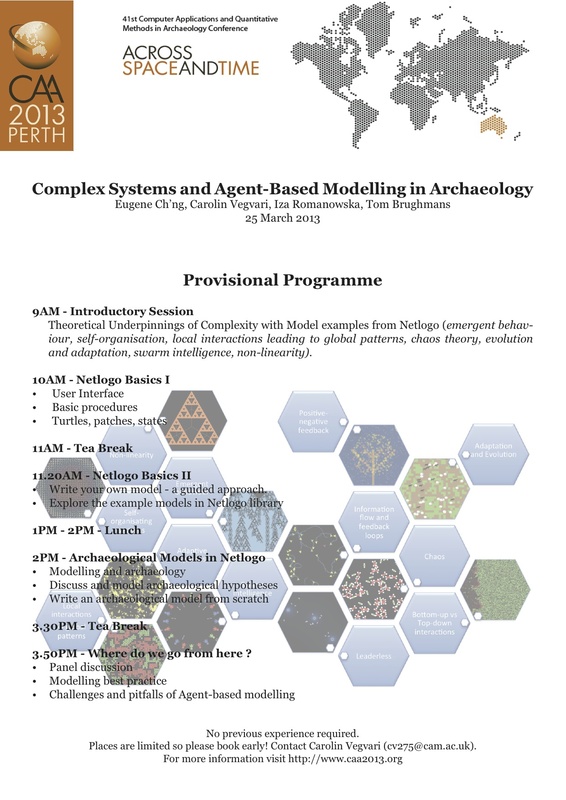 We will organise a workshop on complex systems and agent-based simulations models in archaeology at the CAA Conference in Perth, Australia, this March. Places are still available but Early Bird Registration to the conference ends on Thursday February 7th, so hurry up to get a discount! The workshop itself is free of charge. This entry was posted in Conferences and tagged agent based, GIS, modeling. Bookmark the permalink.